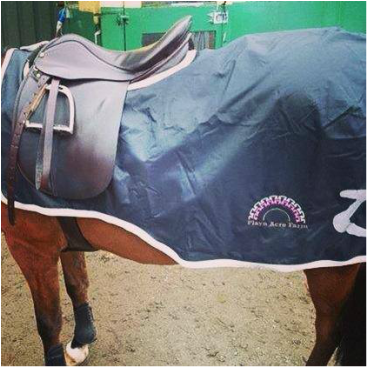 Our rugs and exercise blankets are provided by our supplier Horze and can be personalised with your own logo or initials in high quality embroidery - take a look through our gallery, follow us on Instagram or browse our Facebook photos for inspiration. 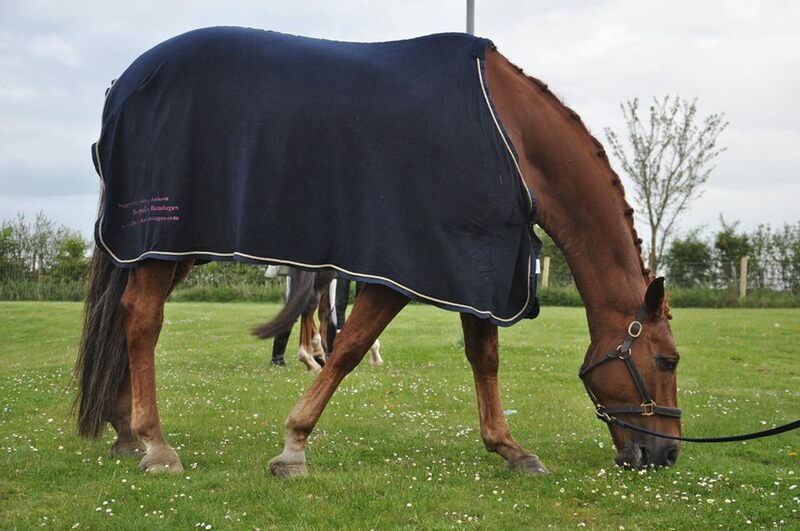 Rugs and exercise blankets make great sets with other Bespoke Bandages products. Take a look at the gallery on our sets page, follow us on Instagram or browse our Facebook photos for inspiration. As with all of our products, if you can't see what you're looking for please contact us. Due to the nature of the fabrics and sparkles it's preferable to HAND wash any bedazzled items, line dry and do not expose the diamantes to high temperatures or abrasive surfaces!